A virtual cultural paradise awaits. The City of New York (most often called New York City or the Big Apple) is the most populous city in the United States. It is a leading global city, exerting a powerful influence over worldwide commerce, finance, culture, and entertainment. The city is also an important center for international affairs, hosting the United Nations headquarters. New York is unique among American cities for its high use of and 24-hour availability of mass transit, and for the overall density and diversity of its population with nearly 170 languages spoken in the city. New York was founded as a commercial trading post by the Dutch East India Company in 1624. The settlement was called New Amsterdam until 1664 when the colony came under British control. New York served as the capital of the United States from 1785 until 1790 and has been the nation's largest city since 1790. 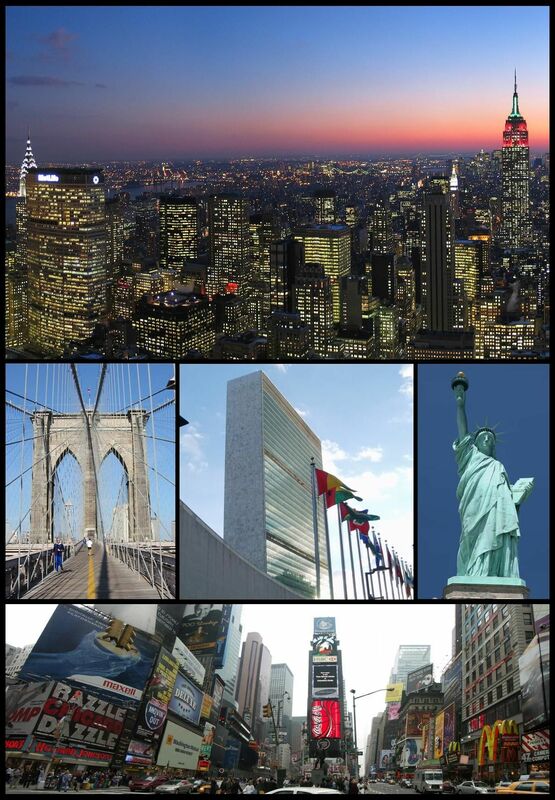 Today, the city has many landmarks and neighborhoods that are world famous. The Statue of Liberty greeted millions of immigrants as they came to America in the late 19th and early 20th centuries. Wall Street, in Lower Manhattan, has been a dominant global financial center since World War II and is home to the New York Stock Exchange. The city has been home to several of the tallest buildings in the world, including the Empire State Building and the twin towers of the former World Trade Center. New York is the birthplace of many cultural movements, including the Harlem Renaissance in literature and visual art, abstract expressionism (also known as the New York School) in painting, and hip hop, punk, salsa, disco and Tin Pan Alley in music. It is the home of Broadway theater, Central Park and Little Italy.